Victoria Sampson is an award-winning producer/writer/director, film and sound editor. With over 201 Sound credits, including sound editing on Academy Award winning films for Sound, “Speed” and “The River,” she has also won 4 Golden Reel Awards and an Emmy for her sound work. Victoria is a member of AMPAS (Academy of Motion Picture Arts and Sciences in the Sound Branch since 1988) and MPSE (Motion Picture Sound Editors) as well as Women in Film, Women in Media, LA Sound Sisters and is a graduate of the AFI's acclaimed Directing Workshop for Women. She has written, directed, produced and edited three award winning 30+ minute short films, one of which is “Click Three Times” which was written, directed and edited by Vickie and stars ISABEL SANFORD (from TVs The Jeffersons) “Click” played in over 50 festivals and won over 30 awards both nationally and internationally, including the Russian Disability Film Festival! 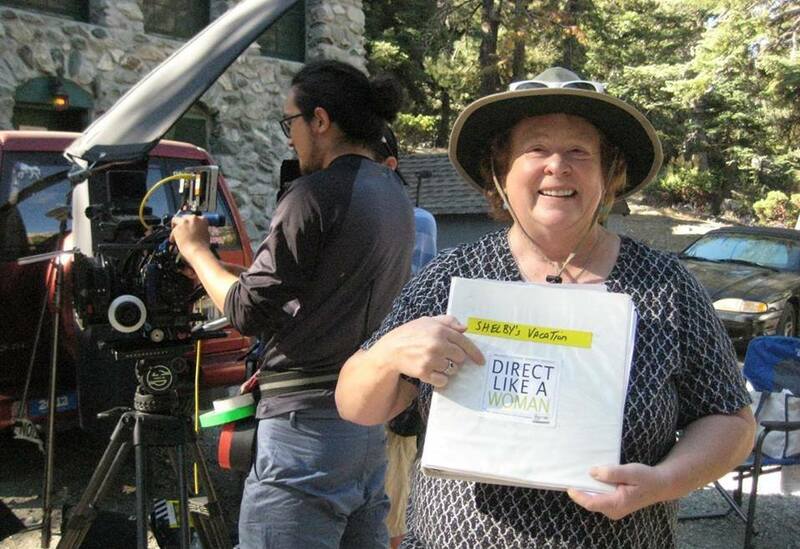 Vickie has directed over a dozen commercials, some on spec for Current.com and some were commissioned. Her 30 second PSA for Women In Film ( “I Wanna Be...”) won a Telly and a Gold Aurora Award. Victoria also wrote a 30 second PSA, “Saddles for Soldiers” for Women in Film’s PSA program. She won the Grand Prize in Harley Davidson’s contest for women filmmakers with her 2 minute written and directed ad, “Her Need for Speed.” She is a founding member and an Emeritus Board member of The Alliance of Women Directors. She recently produced, directed and edited the award- winning film “Shelby’s Vacation,” a 35 min short about dealing with the baggage in your life. Victoria is attached to direct a feature film “Revolutionist” starring Peter Fonda, Dennis Haysbert, Sally Kirkland, Beth Grant, Lou Ferrigno, Katharine Kramer and Erica Hubbard. She is co-producing and editing a paranormal thriller feature film, “Small Whispers” with Laura Vandervoort attached as the lead.